Home → Air Mattress → Simmons Beautyrest Mattress Suggestion. Last summer I added a foam topper to our 10 yr old Sleep Number mattress. Shortly after I added this my lower/mid-back started bothering me after 7 hrs of sleep. We bought a new Sleep Number pillow top thinking the older bed was the issue. Even with the new bed I need my sleep number to be at 85 for some comfort but and still my back bothers me after about 7 hrs. I was in Cincinnati this week and stayed at the Sharonville La Quinta. My room had a Simmons mattress in it and I got the best sleep I have had in 9 months. I woke without pain. This being said I began my Internet search for a similar mattress and came across your site. 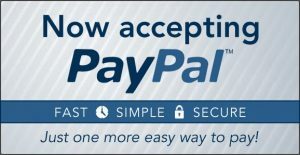 I thought I would reach out to you to see what Simmons mattress you feel would be a great choice for me. I am 150 lbs and my wife 100 lbs. Possibly firm with a 2" topper? The major problem you had with your Sleep Number, is the memory foam they use...and the topper you bought was likely memory foam also, if you bought it from a store. (as opposed to On-Line). 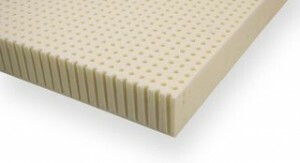 Simmons uses memory foam too, which is why we recommend a latex topper to go with a Beautyrest mattress. Besides making the surface really comfy, it prevents the mattress from wearing prematurely. 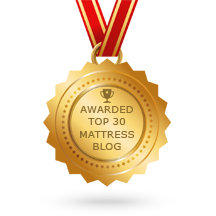 You'll notice on my website, that we do not offer "Plush" Beautyrest mattresses. The reason is that the gauge of wire used for their plush models, is much thinner than in their firm models. Their plush and pillowtop models is the major source of all their bad reviews. Hotels will usually opt for low end Beautyrests. The rooms aren't filled everyday, (3-4 times a week on average), and they replace them every few years. At home, the mattress will be used every night and I would think that that you'd expect to get a lot more than just a few years from your investment. Together, they give you all the support and comfort you could want...and last a good ten years in the bargain.